Gutters keep your home safe from serious water damage. They catch water from the roof so it won’t affect your siding, windows, and doors. Gutters also prevent damage on your pavement or walkways. For a reliable gutter system for your home, Exterior Source is happy to offer RainPro™ from Englert®. Size – What makes RainPro stand out is the size – you get the rain management of a 6″ gutter with the look of a standard 5″ gutter. 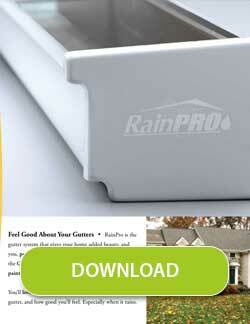 RainPro also has a larger gutter bottom to accommodate the oversized downspouts that we use. This gives maximum water flow, allowing water to move quicker, protecting your foundation and fascia board. Strength – RainPro is made from heavy gauge metal that is 18.5% thicker than standard gutters. They also have heavy duty internal hangers, which we space every two feet, providing twice as much support as with standard gutters. These hangers help ensure strength and durability throughout most weather conditions. Customization – Englert only allows professional installers like Exterior Source to install RainPro gutter systems. 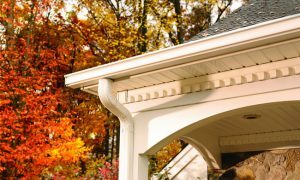 We custom cut and fit the gutters to your home. Beauty – RainPro has an exclusive ScratchGuard paint finish that comes with a limited lifetime warranty. You can choose from a wide array of designer colors that will match your windows, doors, and more. With ScratchGuard, your gutters will look beautiful for years to come. What makes RainPro really stand out is its Good Housekeeping Seal. This means that RainPro has passed the tests for quality, strength, and durability. The seal also means that if the product becomes defective within two years upon installation, Good Housekeeping will be happy to repair or replace the product. RainPro can only be installed by certified installers like Exterior Source. We are factory-trained on how to properly install RainPro according to manufacturer guidelines. 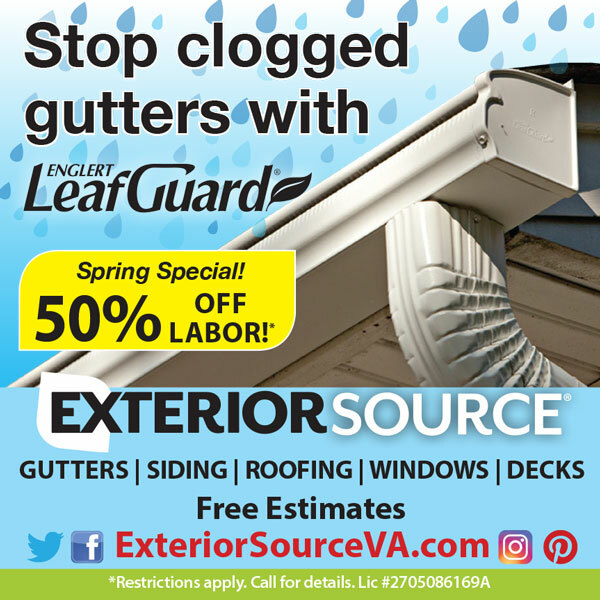 This ensures long-lasting gutters that come with strong warranties for your peace of mind. 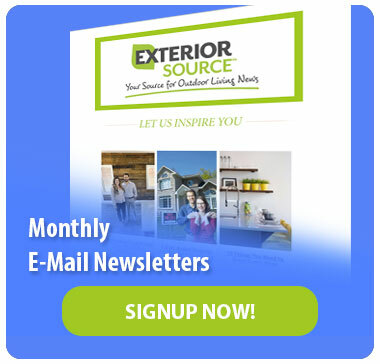 Exterior Source has helped homeowners across Central Virginia with their home improvement projects since 1993. We are certified installers in gutters, siding, roofing and windows and have been recognized by industry publications for our customer service and experience. Let Exterior Source help you build a water damage-free home for you and your family. To learn more about RainPro and our other gutter services, give us a call today. Richmond homeowners can call us at (804) 275-5323, while Tidewater residents can reach us at (757) 464-2060. You can also fill out our contact form. We’ll be happy to give you a free quote.